A fun game of memory and skill as you save the penguins and their different colored eggs. 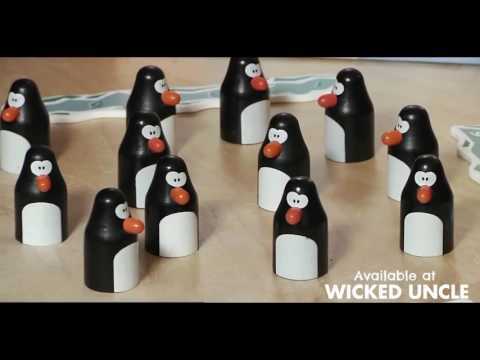 Place all the wooden colored eggs under the twelve penguins. Take turns to roll the colored dice and try to find the penguins with those colored eggs underneath - the first player to collect 6 penguins and place them on their iceberg is the winner. A fun game for all the family...egg-citing! Box Size: 9.5" x 9.5" x 2.5"